Since 1907, Ohaus' focus has remained solely on what they know best: mass measurement. 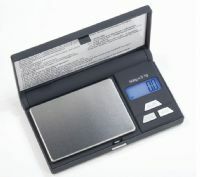 The Ohaus mission has been to continuously develop and improve their vast range of precision balances, weighing scales, moisture analysers, jewellery balances, trade approved scales and analytical balances to ensure that the product portfolio always consists of products that are modern, economical, and easy-to-use. Oneweigh supplies, in partnership with Ohaus, its range of industrial and scientific weighing equipment that is proven over many years to provide both excellent value for money, and peace of mind for customers through the excellent service and support that Ohaus offers in the UK. You are in safe hands with Oneweigh and Ohaus.